Google made a special feature for me !! the logic is they are using "content of search"
So, If you are searching "Install linux "
open /etc/yum.conf delete if any content present. copy paste these lines. Recently , while working on some AJAX code i discovered that googlepages do not give xmlHttp.responseXML . it returns null. 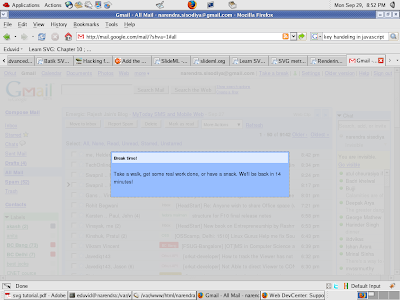 I have observed this fact using FireBug Addon of firefox. > repo at Delhi ? public based out of North India, where should one start looking ? instead of small small rpm, we separate them into some big chunk of bundle with added configuration, which can be indipedently install on a system without getting any dependency error. However this approach will generate a lot of redundancy in term of space, But who cares, a 2GB software will take 10 GB or 20 GB but it will become a distributable unit much like old D:\Software directory , which was having all sort of pirated software (a gift of from my PC assembler at that time). Cappuccino is an application development framework written in Objective-J. It's designed for building rich applications that run in a web browser. Cappuccino implements the GNUstep/OpenStep/Cocoa APIs, and builds on some of the best Desktop programming paradigms in existence. 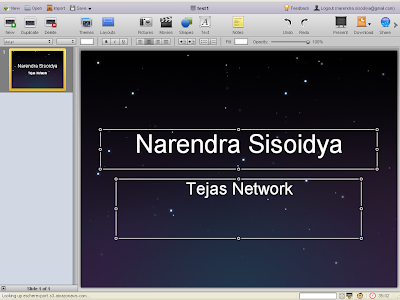 Hi, I am working on presentation technologies so i use to find of many useful web tools.